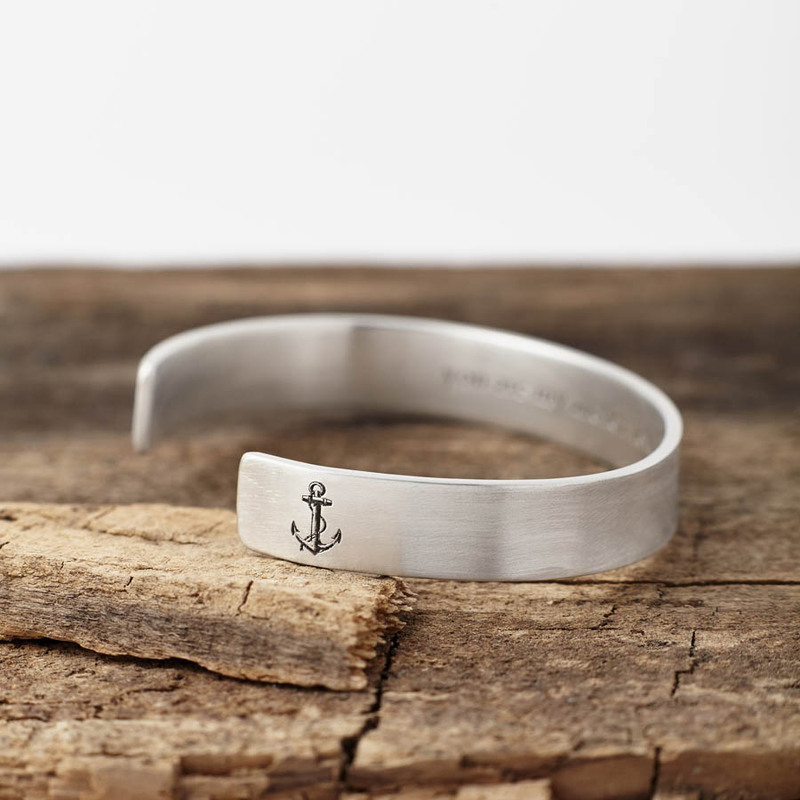 Handmade in the studio, this beautiful, timeless hallmarked solid silver adjustable bangle features an anchor symbol and is personalised with your words. 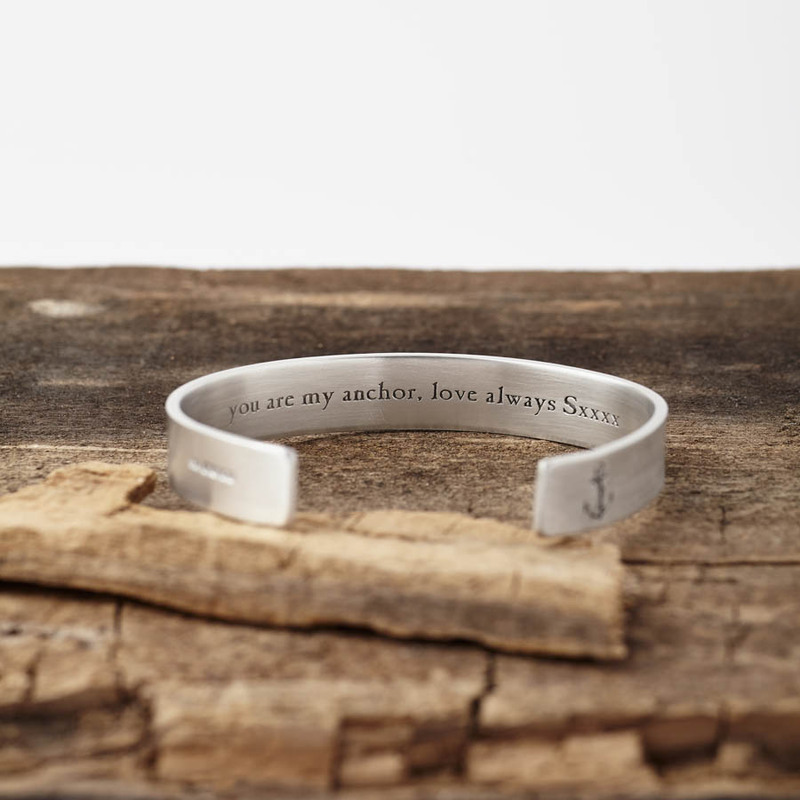 Your words can be etched on either the inside or outside of the bangle, so that they can either be seen, or kept hidden, between you and the wearer. A maximum of 40 characters (including punctuation and spaces) can be etched into the silver. 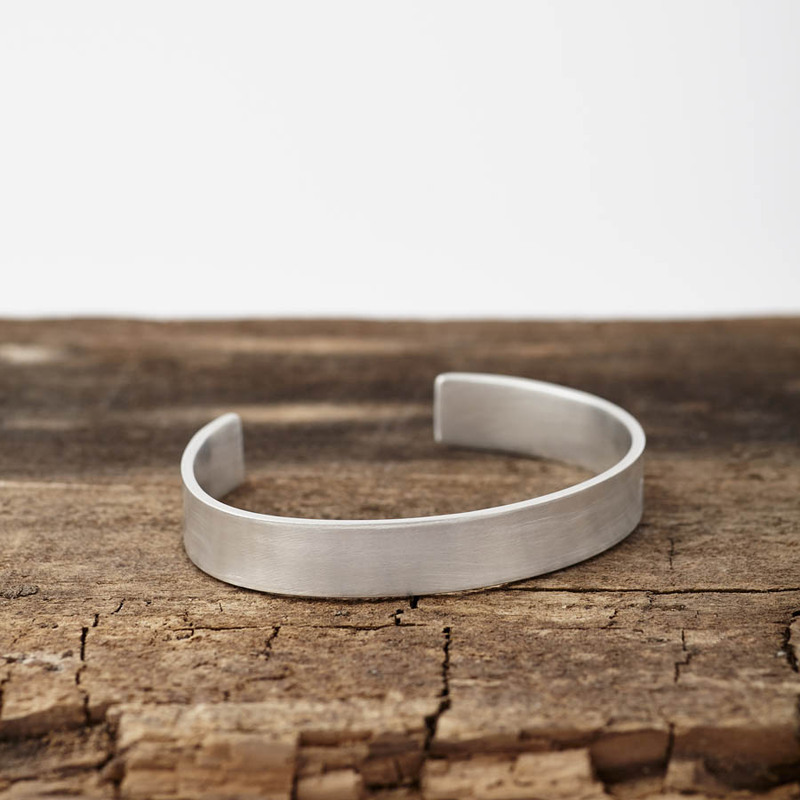 A perfect gift, suitable for both men and women. 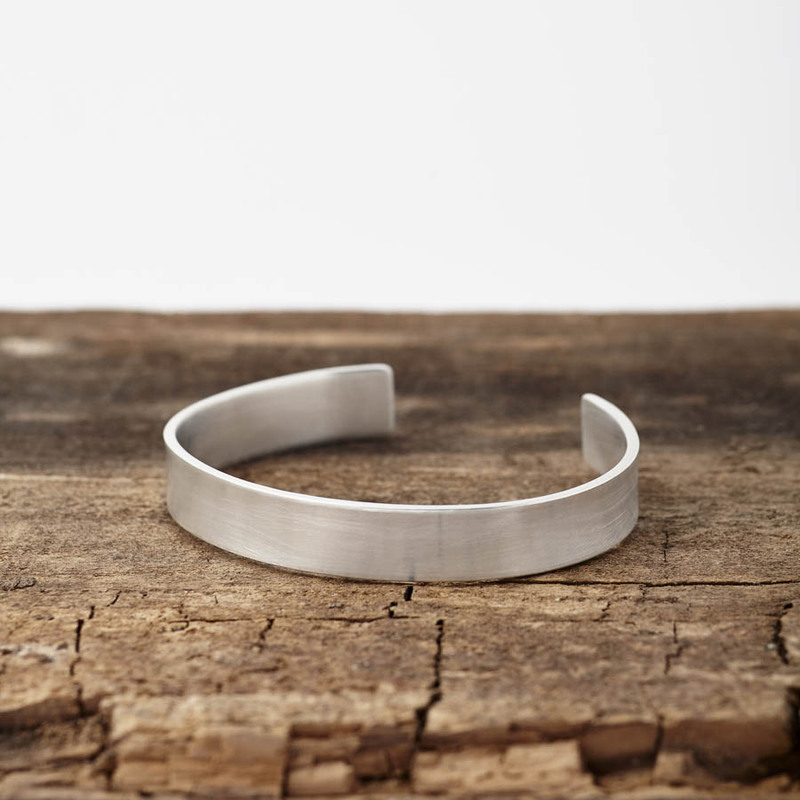 Hallmarked sterling silver with a matt, brushed finish. The silver is 1cm wide, 1.65mm thick and weighs 25g.